211. Cheeky Monkey Media Inc.
227. Art & Science Digital Experience Design Inc.
404. ds+f / Don Schaaf & Friends, Inc.
452. Idea Marketing Group, Inc.
460. Planet Web Solutions Pvt. Ltd.
569. Parachute Design Group Inc.
639. Krify Software Technologies Pvt. Ltd.
688. Logicspice Consultancy Pvt Ltd.
802. Software Technology Group, Inc.
890. SEOValley Solutions Pvt. Ltd.
920. Classic Informatics Pvt. Ltd.
963. Yulu Public Relations Inc.
971. Northwest Media Collective Inc.
976. Yudiz Solutions Pvt. Ltd.
It’s free to get listed on Clutch, but only the most highly recommended companies in each industry are recognized in the Clutch 1000 report. Clutch’s research is ongoing. 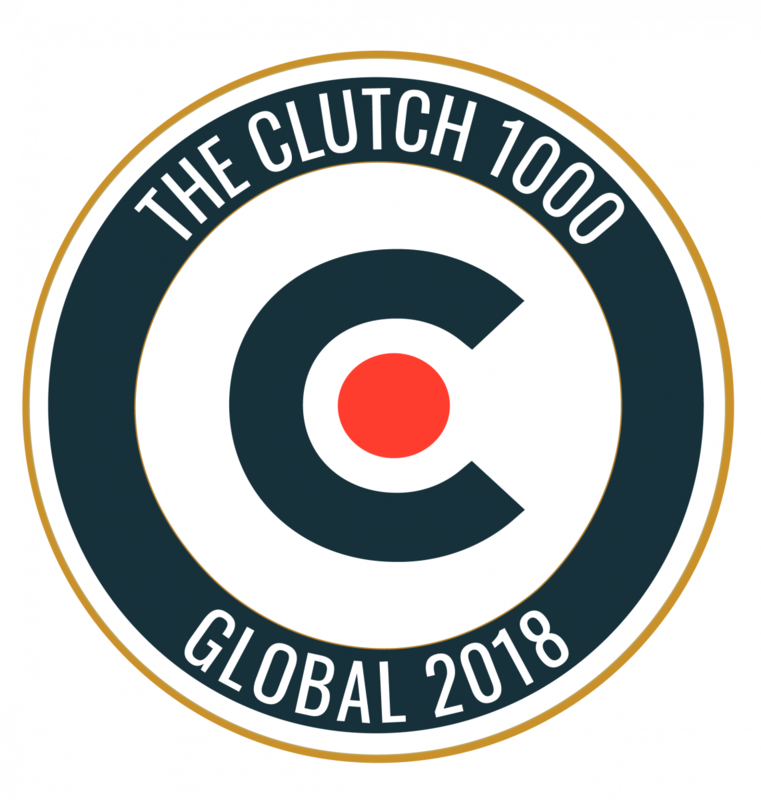 For a chance to be named to Clutch’s 2019 Clutch 1000 list, apply now. It’s a free, two-step process that takes less than 20 minutes. Upcoming leaders reports will highlight the leading branding and design agencies across the United States. Learn more about opportunities to promote this achievement through our marketing kit.